If you'd like to learn a bit more about how I teach, please, see my teaching philosophy. The following courses aren't currently open for registration, but if you're interested in taking one (or more), let me know, and if we can find enough others who are interested (usually, a minimum of six participants), I'd be happy to offer them again. According to Ernest Hemingway, the first draft of anything is, well, we can't politely print what he said, but we can tell you it rhymes with "quit" (which is something you should never do after your first draft). To ensure you never give up, this class, through a combination of lectures, in-class exercises, workshops, discussions, and homework, will take a draft of your story through a recursive rewriting process. You'll refine and improve elements such as points of view, narrative consistency, and structural design. 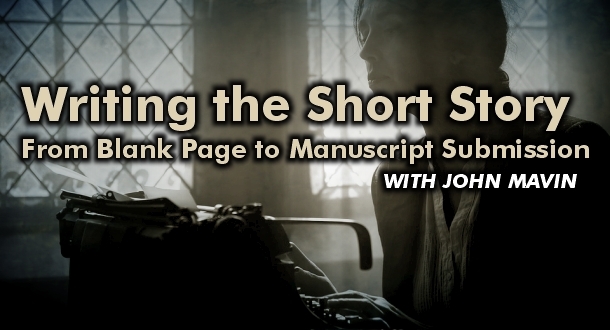 The result will be a better manuscript, and you'll have the knowledge to effectively critique your own writing. 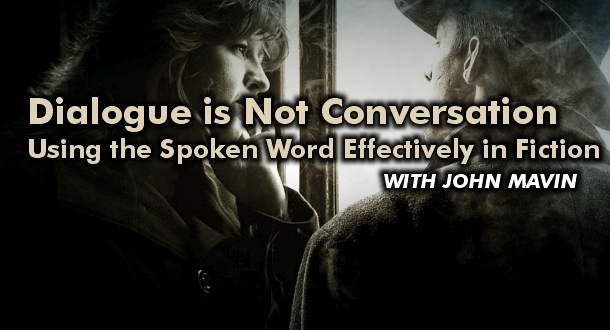 Dialogue and conversation are not synonyms: conversation is when two or more people talk to each other; dialogue is a literary form that provides the illusion of transcribed speech to either establish character, advance the plot, or preferably, both. Through a combination of lecture, in-class exercises, and discussion, we'll explore what makes good dialogue, what makes bad dialogue, and how to tell the difference. 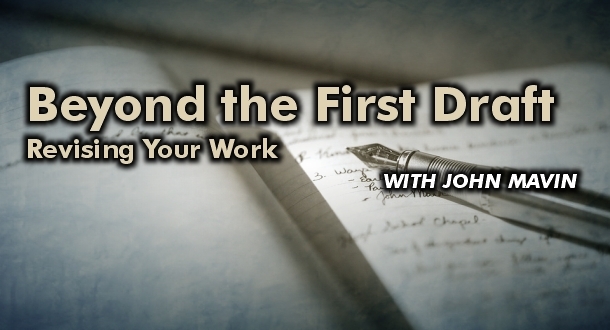 We'll look at goal-oriented dialogue, subtext, action, differentiating your characters through the words they say, as well as the technical mechanics -- everything you'll need to get your characters saying the right thing. Most readers look for stories about interesting (and preferably unique) people doing fascinating things in the most surprising of ways they'll always remember (as opposed to stories about ordinary people doing ordinary things in the most ordinary ways they'll soon forget). Designed for writers of any skill level, this workshop shows you how to populate your fiction with compelling and memorable people both heroic and villainous (and everything in between). 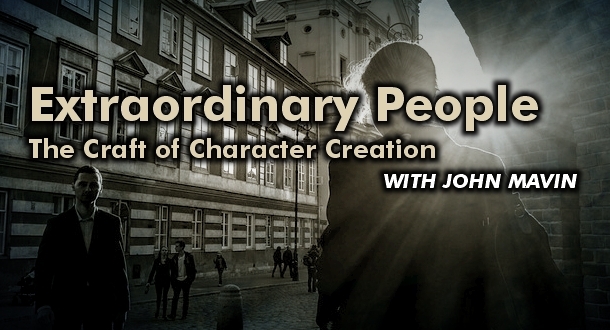 Through a combination of lectures, in-class exercises, and discussion, you'll learn to create believable characters your readers will care about by not only exploring the best ways to dramatize how they look, feel, think, and talk, but also by what they believe, want, and do. 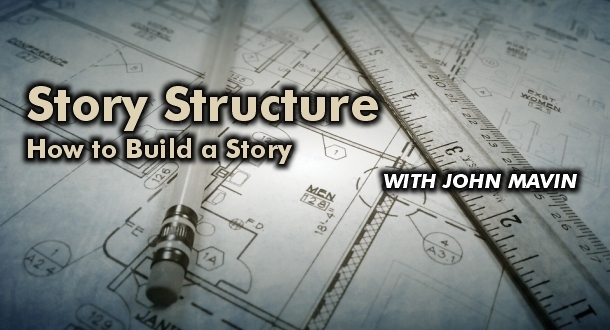 Good stories don't just happen, they're built. Like a blueprint, you need a sound structure to build an effective emotional journey for your readers. Through a combination of lecture, in-class exercise, homework, workshop and discussion, we'll explore both common and unconventional story shapes used in fiction. We'll also look at genre conventions, three-act structure, and the hero's journey to develop the tools you'll need to build emotionally satisfying stories again and again. Designed for beginning and intermediate writers, this course uncovers the mysteries of creating fiction. Through a combination of lectures, in-class exercises, workshops, discussions, and homework, you examine the core elements authors use to craft their stories: plot, characterization, dialogue, points of view, theme, and structure. You also learn an effective revision process as well as look at finding the right market for your work. 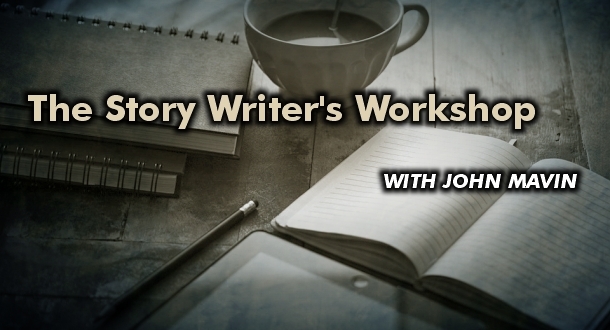 In this intensive, limited-enrollment, workshop you'll be encouraged to write a single short story to the best of your ability. Starting with a blank page, you'll be supported through the complete writing process, from brainstorming content and completing a first draft to revising your manuscript and working with an editor to polish your story to shareworthiness for a specific market. Whatever your preferred genre, you'll use the core tenets of fiction (character, plot, structure, dialogue, setting, point of view, and theme) to hone your narrative through a combination of lectures, in-class exercises, homework assignments, supportive critiques, and frank discussions. You'll then submit your story for publication consideration. A past nominee for both the Aurora Award and the Journey Prize, John Mavin is the author of Rage. He's taught creative writing at Capilano University, Simon Fraser University, the University of British Columbia, with New Shoots, and at the Learning Exchange in Vancouver's Downtown Eastside. Copyright © John Mavin. All Rights Reserved.